Question: I’ve previously worked in long term care and with the department of health, and had some experience in group home services governed by the department over developmental disabilities. Those fields had very strict guidelines on processing a new hire. Here, there is some grant funding for our center with developmental disabilities funding, but with very different circumstances (there’s no residential component and we aren’t billing for services). As such, do you know if there are any specific guidelines for processing a new hire? 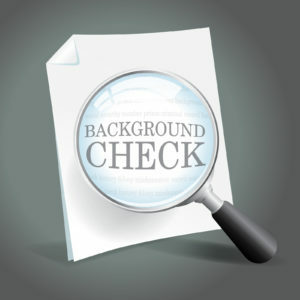 Do we need fingerprinting or to conduct a criminal background check? As you have observed, what is required can vary by funding source. The federal Title VII funds do not require a criminal background check for hiring, although the board is urged to assure that the new executive director is clear to oversee a federally funded program, and centers are allowed to develop their own policies if they choose. Each grant is different, though. You may want to check your grant assurances and local regulations to see what you MUST do for other funding sources before you decide what your policy will be. The program you describe sounds like a Medicaid waiver program. While there are federal requirements around such programs, some of what is required is spelled out in the state’s waiver or waivers. The state is required to follow both the federal regs and its own waiver, and requires certain actions of its vendors, based on what those things. Those will be factors as you determine your organization’s policies. Do you check all finalists or only check people who receive a conditional offer from you? What kind of check do you use? Fingerprints? Checking background by name or state-issued ID? Where do you process the check? On line? Local law enforcement? State law enforcement? Who knows the results? What are your requirements around confidentiality? Do you treat every new hire the same? Or everyone in a certain employment class? Another thing that has a bearing on the kind of background checks you do is your state’s employment laws. These vary greatly from state to state.There are some questions you can’t ask in an interview, and some criminal background checks that may not be allowed in all circumstances. Once you determine whether you will do checks and what they look like, you also need to decide what to do when the check comes back saying the individual has a record. Did your application ask that question? If they lied on the application, do you allow them to work for you? Will you make exceptions, depending on the seriousness of the crime, how long ago it was, etc.? Will you hire people with a record of a misdemeanor but not a felony? I once decided to okay a hire of a young man who had a robbery record, one from more than five years in his past. I decided to make an exception. He didn’t have keys to get to anything important. He wouldn’t have access to money in his position. He would always be working with others. Two weeks in, he broke the glass to get into our conference room and stole the TV and other audio visual equipment. (He didn’t come back to work and was caught trying to sell our TV.) So did I make a good decision when I decided to make an exception? 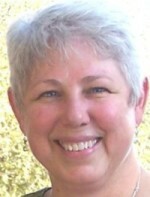 As I said, many variables, but the federal Title VII Parts B and C funds do not in themselves have such a requirement.